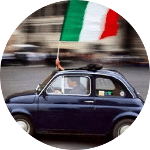 Many of our students come from US and their origins are Italian. Just few days ago one of our students, Albert, showed me this interesting American Italian Dictionary. It contains lots of words that the Italian people, migrated to US, were using in the early 20th century. The Language they were use to speak (*) is really particular. 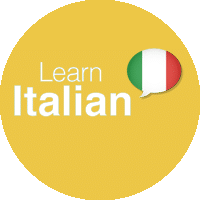 The reason is that it has many words coming from some Italian dialects (mainly from Sicily and from Naples) that actually do not belong to the Italian language. That’s why sometimes some words are clearly understandable to an Italian person that does not come from the South, sometimes not. This pidgin was prominent on the Est Coast US cities (Newark, Paterson, New York City, especially Manhattan and Brooklyn, in the cities of Long Island, Philadelphia, Chicago, and Boston). By the way you can find it also in the other US regions as well as in pockets of Canada. The eco of this pidgin still arrives sometimes here. Sometimes I listen some American students that maybe don’t speak Italian yet, using a very special pronunciation that it is not standard Italian but that it is not American as well. The same happens with the words. They are not completely Italian, they are not American. They basically reflects the influence of the old Italian dialects on the Language they want to learn. Some examples are the expressions “Miezz e miezz” (“metà e metà” in Italian, “half and half” in English) or “A regott” for saying “La ricotta” a fresh Italian cheese. Something similar happens for the Italian food. 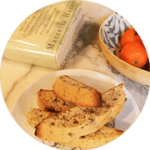 Infact there are some old Italian recipes that come from specific regions of Italy still preserved until today. Maybe they have sometimes some difference from the original one, sometimes not. Everyone, interprets what is given so that something finally changes. It happens evrywhere. We would like to end this post switching back to the Language topic. I would like to share with you an interesting expression that a student revealed me during a class. It is anexpression absolutely not used in Italy but very common in America many many years ago. It is “Mannaggia America” and it means “Darn America”. For sure it shows and let understand the effort and the strain that the Italian people did in the early 20th when they arrived to America. This effort is still part of our Italian history. (*) Technically a “pidgin”, an incomplete, secondary language formed impromptu by people in an area who do not speak the main Language.